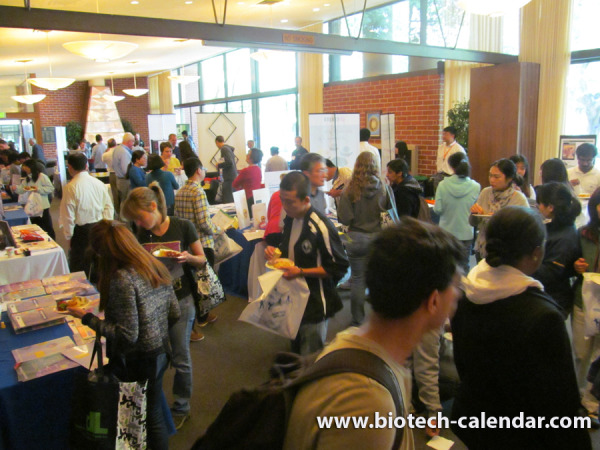 Lab Suppliers looking to promote their newest technologies, special packages or recent mergers and acquisitions can get even more web traffic and visibility by taking advantage of the Biotechnology Calendar, Inc. Fall Special Promotion. 11,000 end-users who recommend products and brands. • Discounted Fall Prices for Shows in 2014: The Fall Special pricing is an opportunity to take advantage of great prices for this year's shows. Prices will increase after the Fall Special ends. • Lots of Brand exposure for your company: including Print Corporate impressions; Free tabletop company sign; Free company listing in the event program; Free company listing in event publicity; Free ad for premium vendors; Free bold text for premium vendors; Free premium exhibit location for premium vendors. • $125 Free Web link Credit: For each show purchased during the Fall Special Promotional Period, companies receive a $125 service upgrade credit toward Free Web Links that allow researchers to access your company information more easily. • Better Placement: Since we offer first-come, first-served exhibit space assignments, companies who purchase during the Fall Special period will receive space assignments with the better visibility than later sign-ups with greater selection near the entrance, catering, or row ends. • Availability: Many of our events sell out by mid November: Purchasing early allows companies to reserve their spaces in limited access markets and continue to build their ongoing professional relationships with the life science professionals in the markets in which they do business. •Special Market Package discounts: including sponsorship, advertising and regional market package discounts. •Top Funded market with over $30 Billion in funding: All shows attended by a receptive audience of active researchers and decision makers. Have questions about our level of service? Remember to register by November 1, 2013 to take advantage of this great Fall Special offer!